Here’s a useful gadget, the USB solar mobile charger. The solar mobile charger is the device of the transferring the sun light power into electrical power, it is working as: the solar panel transfer the sun energy into electrical energy which is stored in the built in 1500mAh Lithium battery, the stored power is then exported to mobile phone, digital, MP3, MP4 and other digital products, of which the process is done by the control circuit, and the different adaptable connector. The AC charge is designed for continual overcast days when there is no sunlight; with the AC charge function customer can charge Lithium battery with AC 100V-240V or USB port. The solar mobile charger is the ideal backup power supply for business trip, traveling, long distance journey, wildness working. 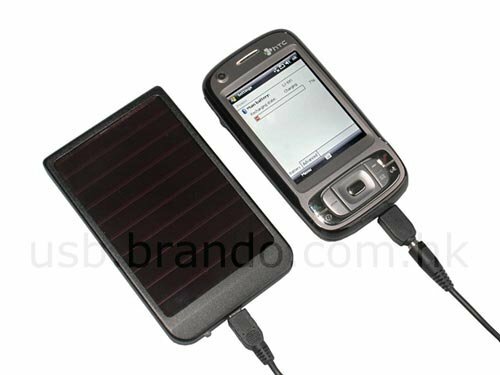 The USB solar mobile charger is available to buy online for $29 from Brando.